With the launch of its new Macbook Pro, for which Apple has taken longer than usual, prices have been revised upwards, the cheapest model being up to 200 dollars more expensive than the models of the beginning of 2015. A price increase that also comes with improvements, but we can have many of them with alternatives from different PC manufacturers. Today we’ll mention some of these options that go from classic designs to more modern models with more versatile configurations. Great options that will allow us to have a PC as good or better than Apple’s new Macbook Pro. One of the most attractive options can be found in the hands of Razer, In fact, no matter how much it bothers some Apple users, the design on the new Macbook is pretty similar to this model. It is thin and it has high quality screen options. It is updated with some of the best Intel processors and also supports Thunderbolt III. It has a 12.5” screen we can find in QHD and 4K resolutions. It has a thickness of only 13mm, it weights less than 1.4Kg and it is completely made of aluminum. It also has a touch screen, a programmable illuminated keyboard (RGB) and a great trackpad. The latest version comes with Intel Kabylake processors, 8GB of RAM and storage of up to 512GB SSD. The battery life on this new model is around 9 hours, which is very close to the 10 hours of the new Macbook. Its price starts at 899 dollars, which is a much more attractive price than the current Macbook Pro. It is a good alternative for Apple’s 13” model, but we won’t, at the moment, compete directly with the 15″ since all Razer alternatives use bigger screens, 17” to be precise. Dell has probably the most interesting and capable option so we can forget about the abusive prices of the new MacBook Pro. 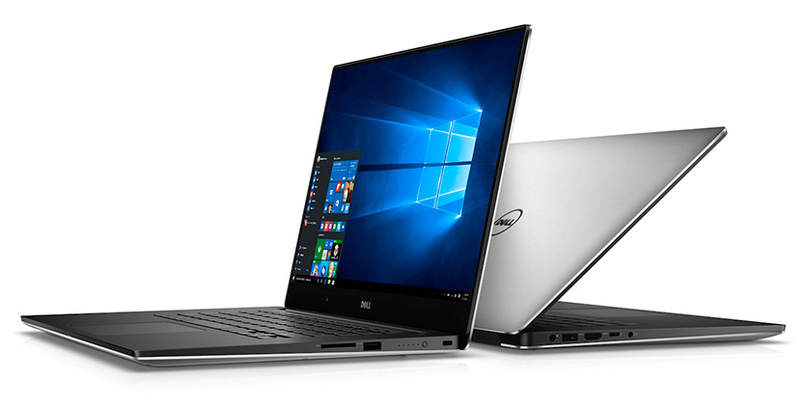 The 13” model, the XPS 13, it is a great example of a classic laptop with a design that borders on excellence. In recent weeks the best Intel processors to date for this type of PCs, Intel Kaby Lake, was incorporated. Its 13 “screen is integrated in a frame that barely exists (Infinity Display) that allows it to have a body of just 12” with a weight of less than 1.3Kg and an aluminum chassis with carbon fiber finishes within a variable thickness between 9 and 15mm. It has a variety of configurations and we can get it for between 1200 and 1995 dollars, and it’s easy to find offers on Amazon on these models. The most expensive, is intended for developers, it has 2 version of Ubuntu and Windows 10, and it has 16GB of RAM and 512GB of storage. Backlit keyboard, touchscreen and QHD+ resolution, plus a good collection of connectors and a good amount of quality accessories make it the perfect option to have something as good or better than the 13” Macbook Pro, and we’ll also save some money while we are at it. The Dell XPS 15 is another great alternative from Dell to the Macbook Pro, but in this case attacking the higher-end model, the 15” Macbook Pro. On top of the XPS 13 we gain size to hold a 15” display on the body of a 14” laptop. It is as well or better equipped than Apple’s model and it will soon receive reinforcements with the new quad core laptop processors with Kaby Lake architecture. Dedicated graphics card from Nvidia, a GTX 960M for now, with real processors and great quality displays with very small edges. The body is constructed in the similarly as the XPS 13 and it has different variants of storage and memory. It can even be easily upgraded. The higher-end models also have a 4k resolution touch screen, high velocity PCIe units and, of course, Thunderbolt 3 connectivity. It has a profile between 11-17mm and weighs less than 2Kg. Its structure of aluminum and carbon fiber also offers a battery life of more than 10 hours and it can be easily upgraded to 32 GB of RAM. The price starts at 1599 dollars and has a maximum price of 2499 dollars in its more complete settings. It it a great alternative to the new 15” Macbook Pro in price and it is less limited in upgrades. 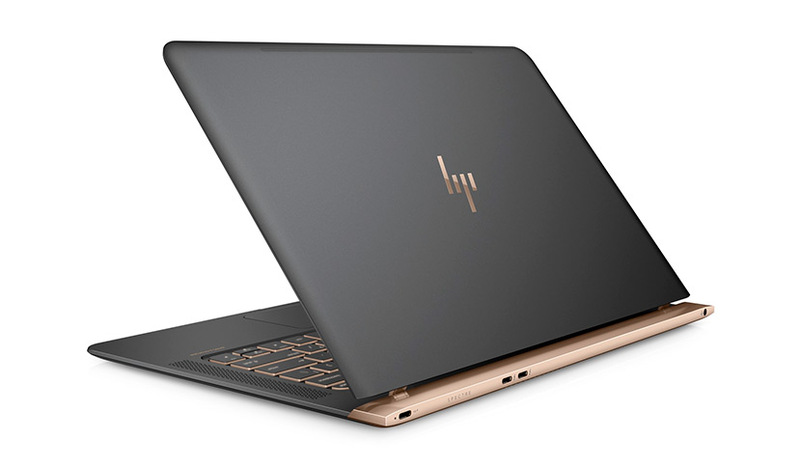 HP has some of the more bold designs we can find in the world of PC and perhaps it has not been able to get the attention of other computers like the Microsoft Surface. I think they have some of the best pieces of hardware one can buy today and they’re also models that mark the personality of the user. A good example of this can be found on the Spectre. Surely the thinnest laptop on the market and not because of that, less equipped than a 13” Macbook Pro. It’s just 10.4mm thick and weighs less than 1.1Kg. It is made of a single piece of aluminum and carbon fiber, with an ultra thin display that uses a hinge system with piston mechanism. It is a work of art that concentrates several USB-C ports where two of them are Thunderbolt 3. In its very reduced profile we’ll find a configuration of great quality. The specifications include normal processors, not that Core M, common in the most aggressive designs, 8GB of RAM, storage of up to 512GB, PCIe and top-quality connectivity that includes Thunderbolt III. Displays are FullHD and it comes with a fitted cover and an USB-C to USB-A adapter. Prices are suitable for such a specialized design, with prices ranging between 1249 dollars and 1400 dollars for the Core i7 model. Both prices are below that of the Mac and while having very distinctive characteristics. For those of you looking for a great quality/price ratio, I believe it’s worth checking the Acer Switch 12 Alpha. 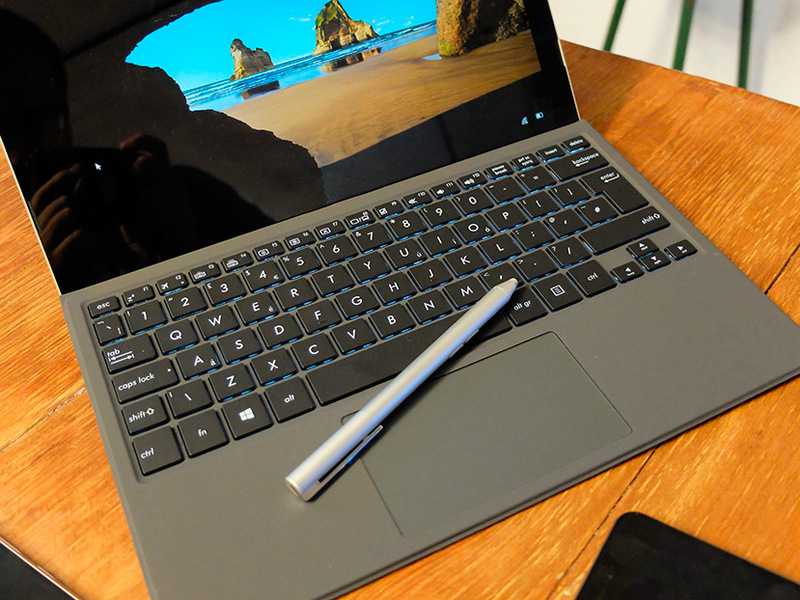 This convertible “inspired” on the Microsoft Surface Pro 4 is a good example that we can have a great computer for a moderate price. 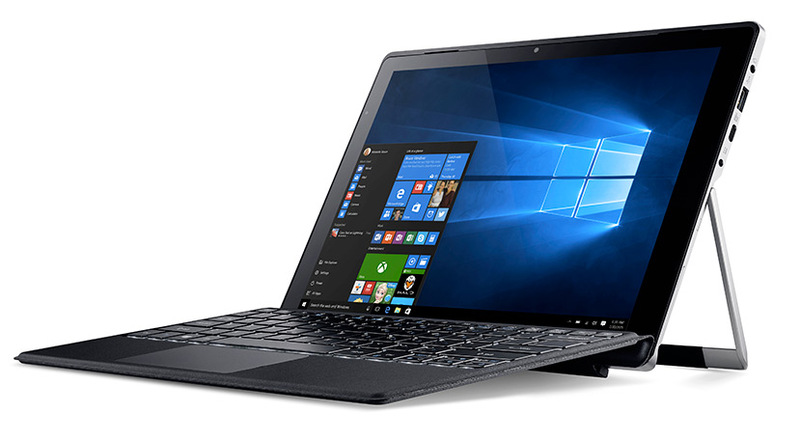 This convertible design has very good performance and it is based on Intel Skylake Core processors. It can be found with very good specifications, including 512GB of storage, for some 900 dollars. It includes a backlit magnetic keyboard-cover, USB-C and USB-A connectors, a very light and compact design and a good 12” multitouch screen with 2160×1440 resolution. We’ll only have to buy the stylus separately. The rest is standard so we will have a very modern PC at a price more than modest and a configuration that would cost a lot more on a Surface Pro 4. In this range ASUS has the best of the ultrabook essence introduced by Intel some years ago. This is their latest model and it’s an authentic work of art. It will arrive soon with prices starting at 999 dollars in its cheapest variants. We’ll be able to find it in configurations with up to 16GB of RAM and Kabylake processors. Among its most striking elements we find its profile of only 12mm thick and its body completely made of aluminum. It has an intense blue color variant, anodized, with golden details that is spectacular. Its 12.5 “display offers 1920×1080 resolution and all this with a weight of 910 grams including battery. Backlit keyboard, USB-C, SATA or PCI Express storage units, fingerprint reader. It does not lack any detail and judging by price and configuration, it is a great alternative not only to the 13” MacBook but also to Macbook Air that Apple will be discontinuing piece by piece. 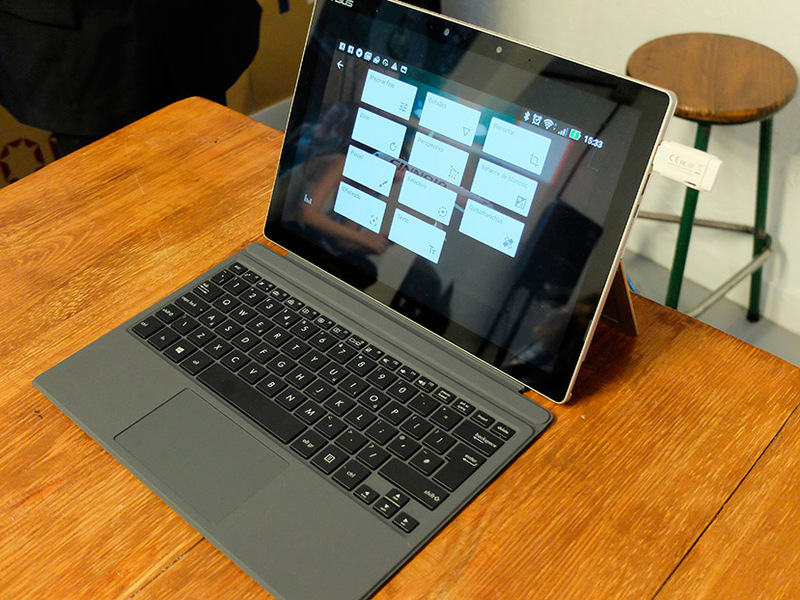 Another great option that we’ll be able to buy in a few days is the ASUS alternative to the Surface Pro 4. It is in fact what the Surface Pro 5 should have been if Microsoft had deigned to launch it last week. It’s not cheap, but it’s very capable and it adds some features we missed on Microsoft’s convertible. It’s cheaper and better equipped since it comes with a standard cover-keyboard and stylus. Its 12.6 “display has a resolution of 2880 x 1920 with a coverage of 121% of the sRGB spectrum, it comes equipped with Skylake processors, up to 16GB of RAM, 512GB of storage and Thunderbolt III connectivity. The best part is that it is not only more capable than Microsoft’s model, but it is also comparatively cheaper. It has some very attractive dimensions that include an 8.3mm thickness, less than the Surface Pro 4, and it weighs exactly the same, 800 grams. With 16GB RAM and 512GB storage it costs 1600 dollars. It is one of the best hybrid tablets we can find on the market and it is quite cheaper than the cheapest Macbook Pro from the new batch. A very interesting alternative for those who like more modern and functional alternatives. All of these laptops we have shown are just a sample that we find especially able to compete with Apple’s new pro offer. Big PCs with different features, but all with very high levels of quality and competence. What we can not predict is what is to come, but we can assume a few things. Intel hasn’t launched its average consumption Kaby Lake processors, over the 30w, and that makes us hope for an improvement in the performance of many of these models that will be renewed before Apple’s. With this processors brands will also take advantage of new AMD and Nvidia notebook graphics chips so the improvement will be much more extensive in applications that use the power of dedicated graphics on notebooks that have them. I have no doubts the XPS 15 from Dell will get this improvements as soon as Intel announces its quad-core processors with eight threads. These models should be arriving the market together with their desktop versions at the beginning of 2017. 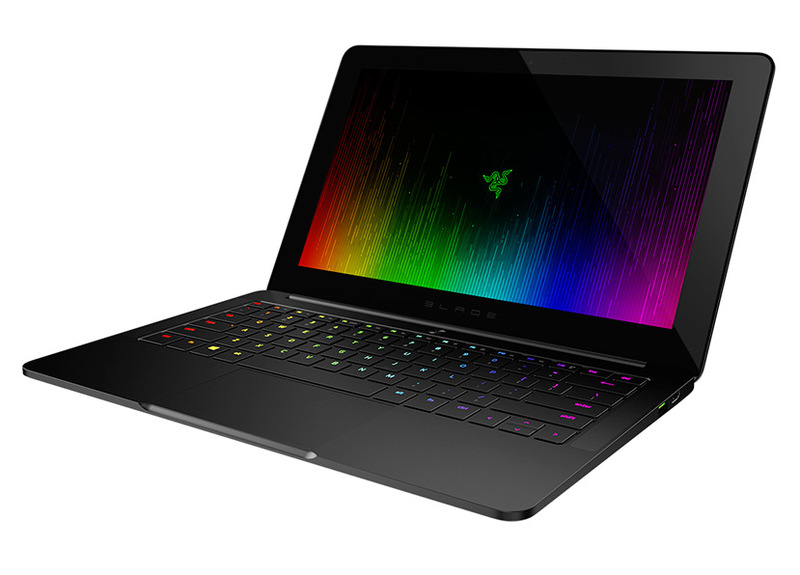 Of all these models we talked about today, every single one would be a quality choice for my needs, but I believe that based on a balance of price, performance and features today the best Laptop to replace a Macbook Pro, while spending a lot less, would be the Razer Blade Stealth. It has a careful design, quality processors, fast storage, a high quality display, modern connectivity and a really attractive price. 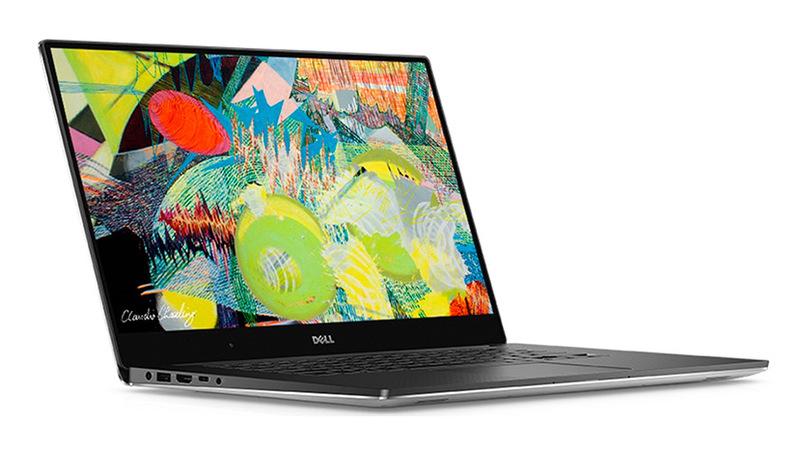 As a second choice, if I were looking for more power, I would choose without a doubt the XPS 15 from Dell. It is not my first choice because the entry price is higher and because i think buying this version a few weeks before its renovation, wouldn’t be very smart. I’d also like to give a special mention to ASUS new offer, and specially the great UX390UA with its featherweight and reduced profile. 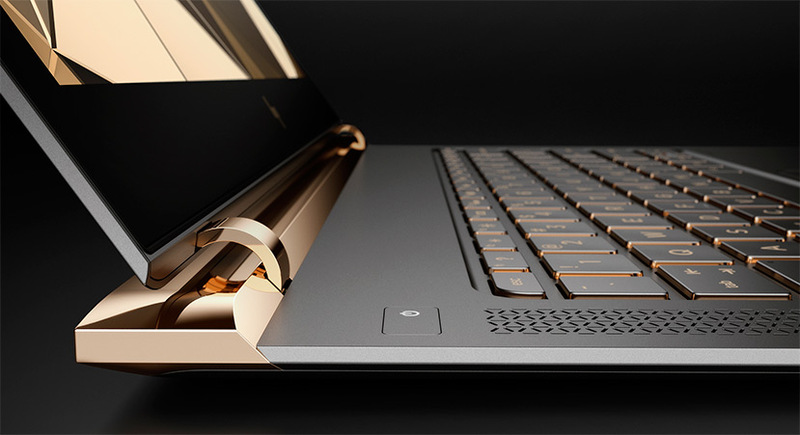 I also like the HP Spectre, but it doesn’t have the most modern processors, which will arrive soon too, and it’s entry price is as high as Apple’s.